Please note that there is no admittance to The Glamping Show on Wednesday. 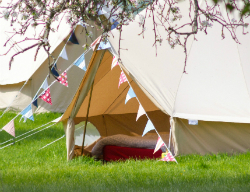 Wednesday arrivals for people wishing to attend the Glamping Show on Thursday is from 4pm onwards only. Sign up to Fred's Newsletter to be kept up to date with new additions and seasonal offers. 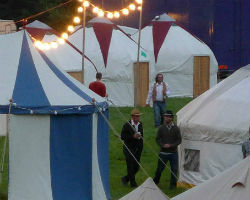 Fred's Yurts believe in community and like to have face to face dealings with suppliers, clients and friends. If you would like to exchange links, please get in touch. 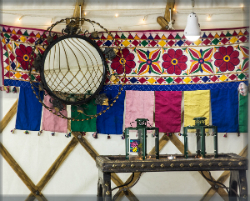 Yurt Hire and rental, Wedding Yurt Hire, Boutique Camping, Glamping, Event Accommodation, VIP, back stage and Artist Accommodation, Yurt Villages, Mongolian Yurts, Handmade Coppiced Yurts, Healing Yurts, Private Yurt Hire, Hay festival accommodation. Canvas sewing services, Shower hire in Wales, Gloucestershire, Shropshire, Herefordshire, Worcestershire, Cheshire.